We’ve included a teaser of what his book is about. Read on. Mystery: Jimmy O’Reilly, ex-cop and failed P.I., returns to his small Kansas hometown on the Arkansas River to find peace, but instead finds a family friend murdered. Only problem, no one believes it is murder. As a reluctant investigator, O’Reilly stumbles on an international drug scheme, and in the process, has to face his demons from the past. A trail of murders up and down the river leads O’Reilly back to the big city and its violent underworld of crime. It also brings into question his own ability not only to find the truth, but to come to terms with his wife’s death and also protect a local teenager from danger in her innocent involvement in the violence. 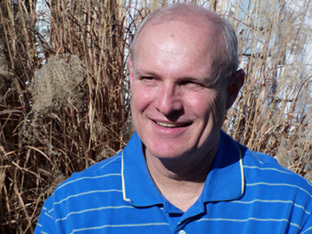 Conrad Jestmore has published short stories, poetry and non-fiction in numerous journals and anthologies, and is a Past-President of the Kansas Authors Association. 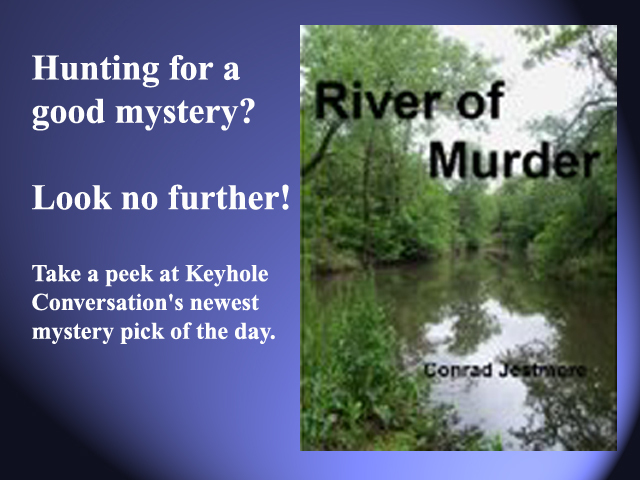 His first novel, River of Murder is available as an e-book from Amazon.com, Barnes and Noble.Com, and the publisher, Smashwords.com. He has earned gainful employment as a welfare case worker in the mountains of northern California, an elevator operator when elevators still had them, a bartender, a paint warehouse stocker, a USO performer and a high school teacher. He is a Reiki Master and currently teaches Reiki classes and heals both humans and animals in his central Kansas Reiki practice. Last week, Hazel Hart, my Keyhole Conversations partner, uploaded our first video interview review to YouTube of the book, “A Plane Tree in Provence,” where Arlene Graber portrays her character, Penny Wilson, who ‘tells all’ on the author who brought her to life. Check it out! Read a sample of her writing here. A Plane Tree in Provence won the Kansas Authors Club 2011 first place award in the statewide contest. We hope you enjoy a teaser of what her book is about, so read on. Take five bored women anxious to escape their humdrum lives, add a journey to France, a mix of French wines, a sprinkle of conflict, and an amorous affair, and you have a recipe for trouble. If you’ve ever dreamed of visiting one of those far-away places, here is armchair travel that will take you to A Plane Tree in Provence. The author’s descriptions of the French countryside, the wines, and the French people will put you there as you experience the adventures and conflicts of the five women—each with her own personal issues of adultery, bereavement, and seduction. Readers will find a blend of heart-warming adventures in this satisfying novel about friendships set amid the charm of the French countryside. 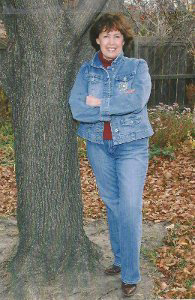 Arlene Graber is an award winning freelance writer from Wichita, Kansas. Her writing career spans more than twenty-five years with over 100 devotionals, essays, and articles published in numerous newspapers, magazines and periodicals. Devoted to Traveling was released February 16, 2010, by AWOC Publishers. She is a retired travel agent who has traveled throughout the world. She is a graduate of the University of Memphis, is an avid scrapbooker, a graduate of Bible Study Fellowship, the proud grandmother of two boys, and has attended Eastminster Presbyterian Church for over thirty years. She is currently writing a sequel to A Plane Tree in Provence. Welcome to Keyhole Conversations. We’re glad you could join us in our new adventure of bringing a different kind of book review to readers. Take a peek into the secrets of working writers, where the character in the novel ‘tells all’ about the author who brought them to life in the pages of the novel. We’ll be posting monthly videos, with occasional blogs thereafter.